Cooler temps, flannel shirts, color changing leaves, and pumpkin spice everything .. Hello Fall, we meet again! Next to the holidays, I must admit, Fall is one of my favorite times of the year. Yes, I'm the person that can't wait to do all the fall-themed activities. From Trips to the corn maze/pumpkin patch, apple picking and wearing moccasin boots to fall themed parties and bonfires, you name it, I've done it all. 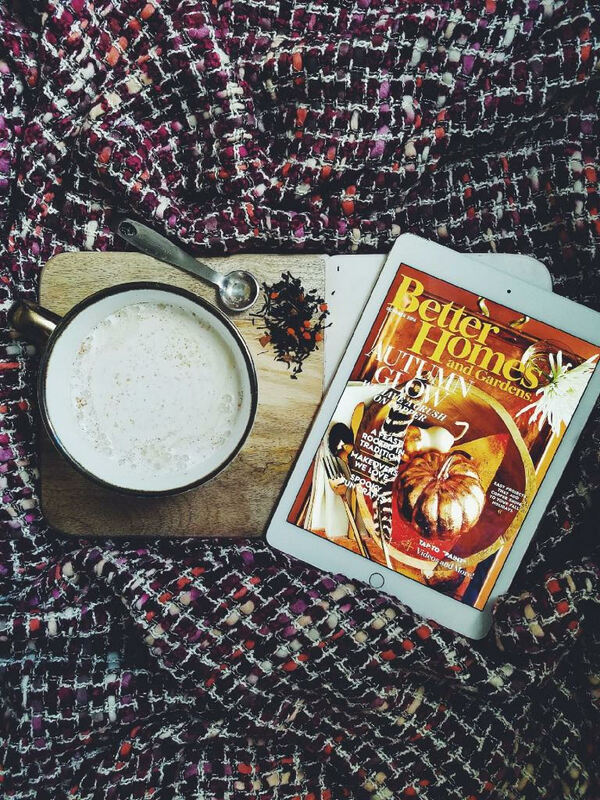 So I figured what better way to commemorate the first day of fall, than with a pumpkin chai latte, a cozy throw, and the latest issue of Better Homes and Gardens. Follow this easy recipe to get your own taste of fall! 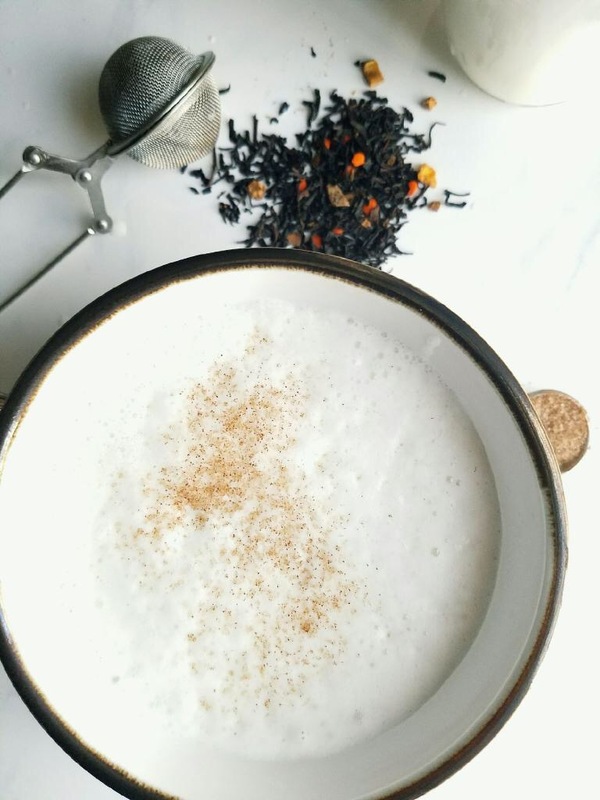 Scoop 2 teaspoons of pumpkin chai loose leaf tea into the tea infuser spoon. Fill cup halfway with boiling hot water and insert tea infuser. Allow tea to steep for 2-3 minutes. Stir in a teaspoon of brown sugar. Heat milk in a small sauce pan and bring to a slight boil, stirring often. Remove the pan from heat and pour milk into a heat safe glass. Use a handheld milk frother to froth milk. Remove tea infuser spoon from cup and pour in frothed milk.